Many mainstream chiropractic methods today use older methods of feeling the tension along the spine, aiming to increase range of motion, decrease muscle spasm, and relieve pain. This type of care can often do an adequate job of temporarily removing your symptoms. At Berner Family Chiropractic our approach is different, focusing on spinal correction, utilizing precision upper cervical specific digital x-rays and video motion x-ray of the spine, , and thermographic scans to clearly identify the problem. We often find the spine gets “locked” out of it’s normal position, affecting the spinal nerves, and causing of many underlying conditions. 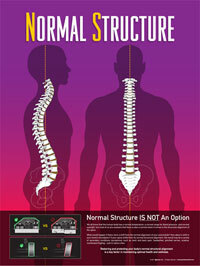 Think of your spine like the foundation of a building. The rest of the building cannot be stable if it’s not sitting on a strong foundation. 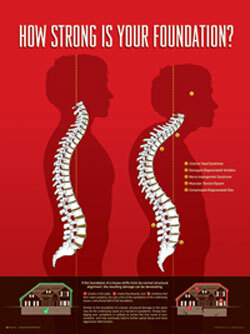 Restoring this and allowing your body to function at 100% is the key to both initial relief and long term improvement.